The car is all loaded up. The ponies are in the van. I’m off to an away horse show. 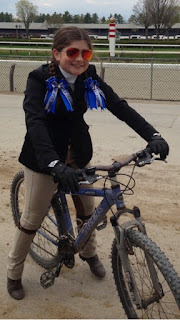 Besides the riding, what makes away shows so much fun for me and my friends? When I’m not on my pony, I love riding my bike all around the show grounds. It’s especially fun to see the farm set ups and decorations. I also love watching all the beautiful horses and ponies. Whenever I can, I bring my dogs. 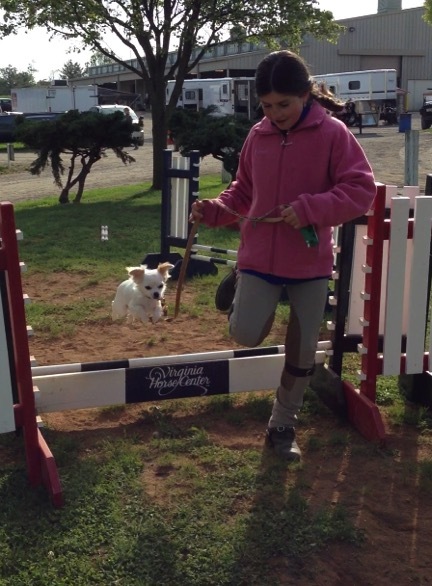 I love walking them around the show grounds, playing with them, and meeting lots of new dogs! 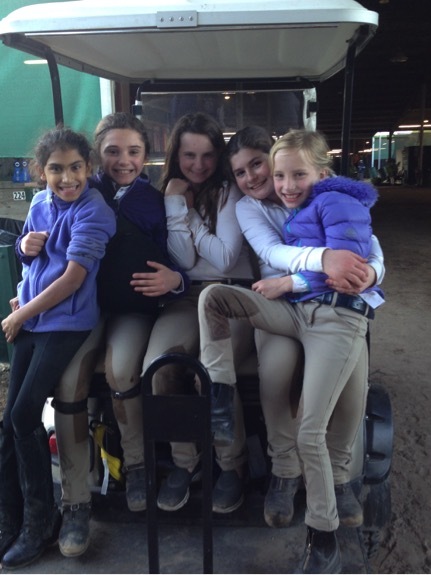 Driving around on the golf cart with my horse show friends. Need I say more? 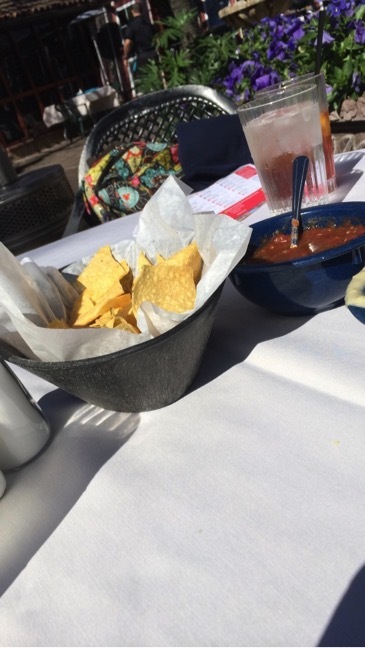 Traveling the country has allowed me to try lots of different foods. From Vermont’s maple syrup and aged cheddar cheese to the fabulous Tex-Mex and fajitas made famous in Texas to the grits and hush puppies in the South. I especially look forward to the lemon sticks at Devon each year. 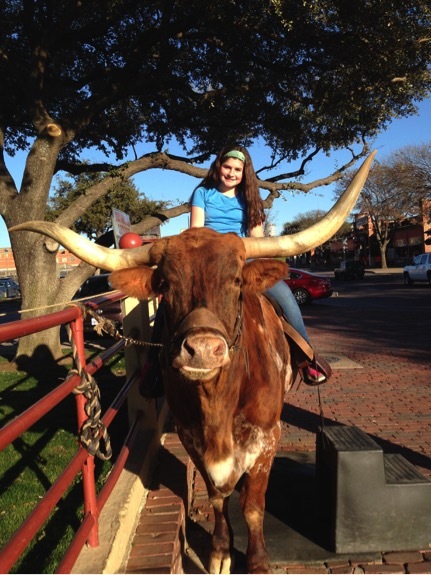 While showing at the Pin Oak Charity Horse Show in Texas I had a chance to see the Alamo, visit the San Antonio River Walk, tour the Fort Worth Zoo and meet a Longhorn. During the Vermont Summer Festival I was able to enjoy the beauty of the Green Mountains and swim in a quarry. While at HITS Ocala we made a visit to the Clearwater Marine Aquarium to see “Winter,” the Dolphin star in the movie Dolphin Tale. I loved touring Charleston by horse-and-carriage and getting in some beach time while showing at the The Charleston Classic. My very favorite was walking the streets of Washington, D.C. and visiting the White House while competing at WIHS. 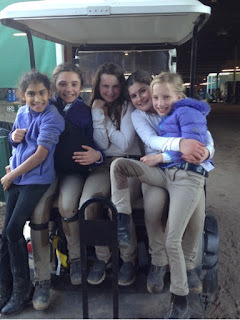 It’s so nice to be away, see my horse show friends, and try new places and things. But it’s also always really great to come back home and sleep in my own bed! 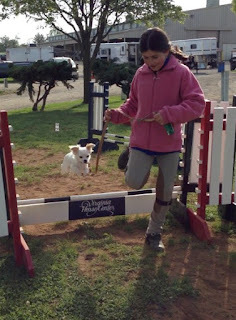 Maggie Junkin competes in the large ponies and is committed to animal rescue. She has raised funds for Danny & Ron's Rescue. She lives with her family in Jenkintown, PA. Photos courtesy of the Junkin Family.